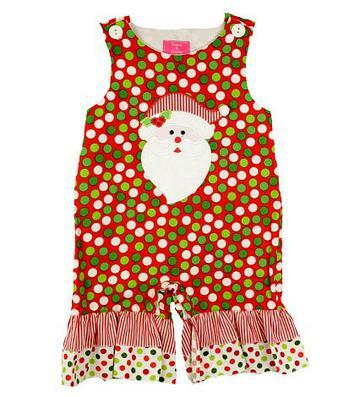 Santa never looked so cute on a colorful romper. 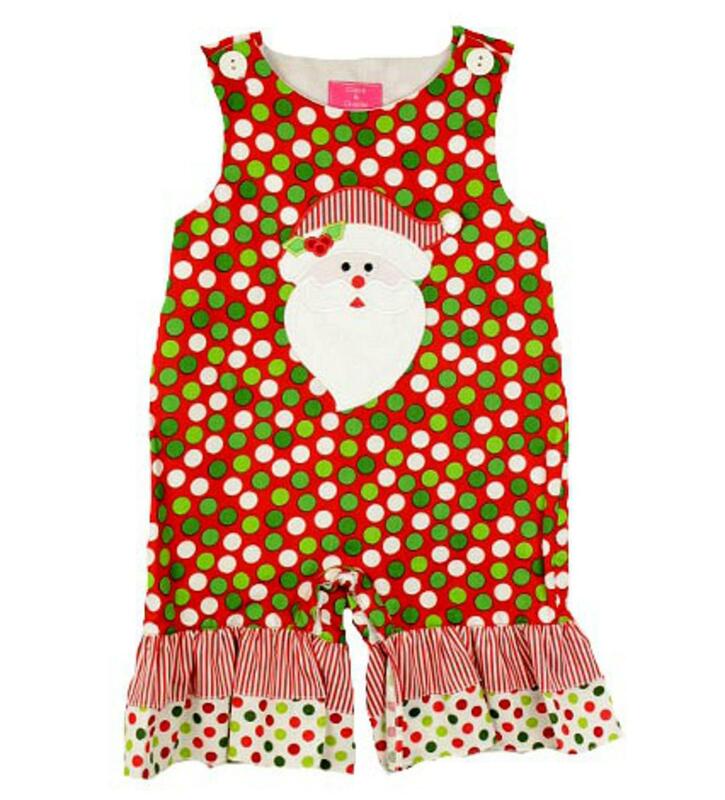 The red with green and white polka dot romper has a beautiful santa applique on the chest and two large rows of ruffles on the ankles. The first layer is red and white striped and the second is white with red and green polka dots. There is two buttons on the shoulders to get on/off easily and snaps on the inside of the legs to accomodate diaper changes. This beautiful outfit would pair perfectly with a white turtleneck and is 100% cotton.